As the Chicago Bears approach their 100th season, the team has decided to not only raise season ticket prices, but eliminate paper tickets completely. Ticket prices are set to increase by an average of four percent; season ticket prices will range across nine different tiers. While this change was just announced on Friday, the ticket increase was expected as Chicago had frozen ticket price raises for three out of the four previous years. 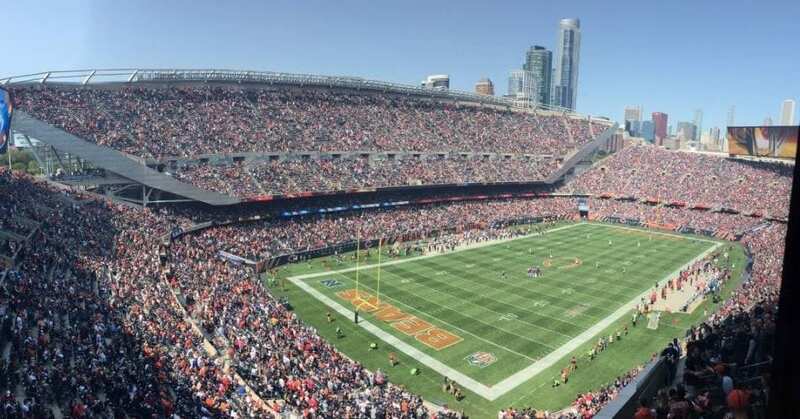 In addition to the slight price change, the Bears also revealed that they are moving to mobile-only tickets for the 2019 NFL season. Mobile-only ticketing has been a new trend in the sports industry; the Detroit Tigers just announced mobile-only tickets, following suit of teams like the Atlanta Braves and New York Yankees. Mobile-only ticketing has been introduced to protect fans from fraudulent behavior and allows faster, more efficient entry into the stadium. Fans must enter the stadium with mobile-only tickets; PDF tickets will no longer be valid for entry. Additionally, the Bears will be able to have direct and accurate data on each fan who enters Soldier Field. Ahead of the game, fans are encouraged to download the Bears free mobile app to access their tickets via Ticketmaster. From there, they can add the tickets to their phone’s digital wallet in case there is slow or weak Wi-Fi or cellular connection at the stadium. The Bears outlined how to access, manage, sell, or transfer tickets in their app on the official Bears website. While the mobile-only ticketing rule is supposed to make entry easier for fans, many longtime Bears fans are upset with the new change, noting that mobile tickets eliminate the memories that go along with the tangible ticket.